In 2011, we launched one of the biggest brand events in Germany’s history: The „Day of Crafts“. 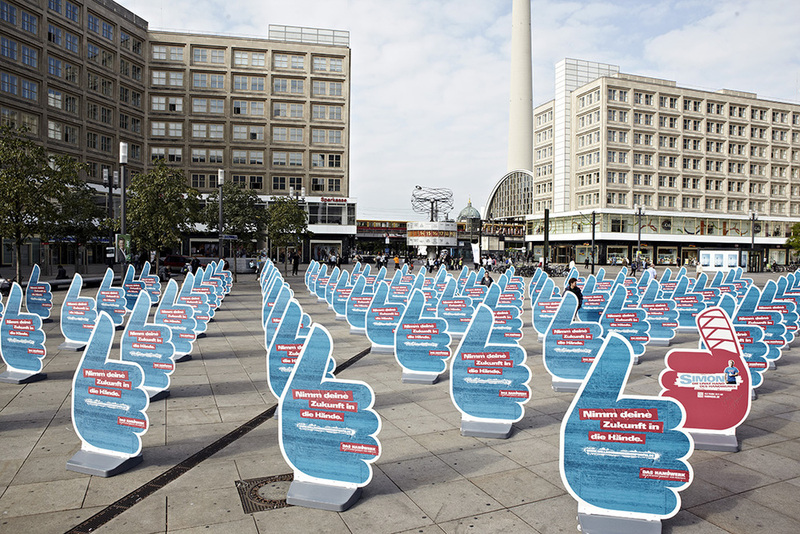 On Berlin’s Alexanderplatz, 100 oversized branded thumbs promoted the diversity of crafts and introduced over 130 different crafts. Over the course of 4 days, about 100,000 people visited the 800 sqm exhibition. A lot more saw it on TV reports, newspapers, and blogs. And with around 500 different events by over 1 million craftsmen throughout the German crafts were present all over the country. Every major newspaper, TV and radio station reported, not to mention all the local papers and stations.